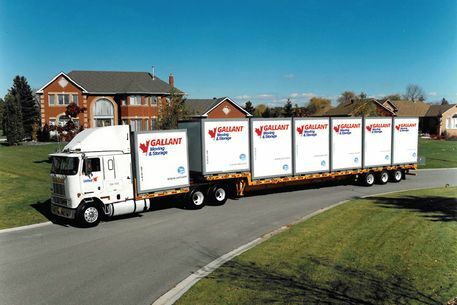 Since 1956, Gallant Moving & Storage Ltd, a family owned and operated company, has provided home and business owners with professional local and long distance moving services. We’re known for our attention to safety and our fast service as we are for our reliability and confidentiality. United Van Lines was the first company to introduce and to specialise in household goods containers. Our exclusive use option guarantees that your contents are kept separate from other shipments. Containers are also an excellent and affordable short-term storage solution (up to 90 days). Moving by containers offers a number of unique benefits, including flexible delivery options (either expedited or delayed delivery) that allow you to choose the delivery date that best suits your needs. Since the shipment is loaded and stored in the container it does not have to be unloaded into a warehouse and then reloaded onto a van. This means there is less handling, which lessens the chance of accidental damage. As a family company, we understand that few events in life match the stress of moving. We’ll work with you to minimize the stress involved in a move. Regardless of your origin or destination, we can handle your move from start to finish. Ask us about our professional packing and crating service! 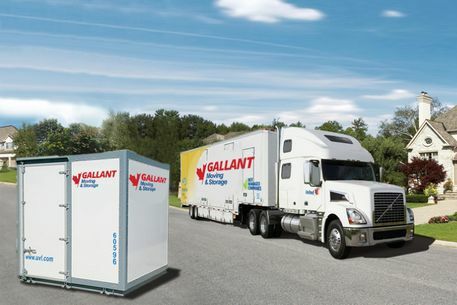 At Gallant Moving & Storage Ltd, we know that your household belongings are important to you. Whether you’re moving your home from one end of the Island to another or you’re moving the family across the country, you’re in good hands with Gallant Moving & Storage Ltd.
United Van lines Canada Ltd. is Canada's largest network of moving companies and the only Van Line in the country that is privately held and owned by Canadians. 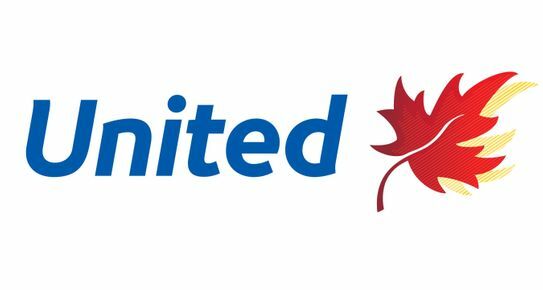 When you deal with United Van lines Canada Ltd., you’re dealing with Canadians. We’ve been hauling household items since 1956! We move office equipment and household items.